Hi, I’m Pete and welcome to my website. I am a fully qualified Government Approved Driving Instructor (ADI) and I am passionate about road safety. 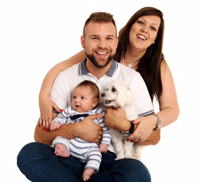 I live in Sheffield with my lovely wife, Petra and our wonderful baby boy, Dylan - and of course our sweet dog Raymond. I like to spend most of my free time with them as well as doing sports and I’m also a keen football supporter. Travelling is our main hobby, I think seeing the world widens one’s perspective. 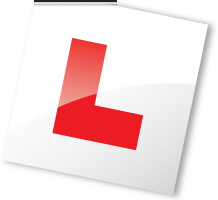 I became a driving instructor because I wanted a job with real satisfaction and there is nothing better than seeing someone pass their test first time. I worked in sales and logistics previously but this is where I have found I really belong. I was also always being told by friends and work colleagues that I was a calm and relaxed type of person and that I would make a great Driving Instructor. Lessons are always conducted in a calm, friendly and relaxed manner as I firmly believe in making pupils feel at ease during lessons. This is also confirmed by my reviews which I welcome you to take a look at.